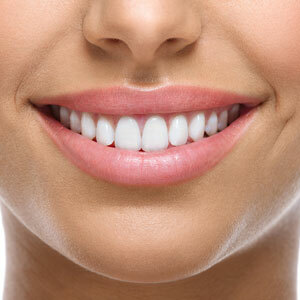 Have you dreamed of having a whiter, brighter, more beautiful smile? At Green Apple Dental Clinic, we can help you achieve all of this and more, thanks to our state-of-the-art teeth whitening treatments. Whether you wish to enhance your appearance before a special event or simply give your smile a much-needed refresh, our friendly team are here to help. While there are a wide range of teeth whitening options such as gels, strips, and toothpastes available over-the-counter, we recommend consulting a dental professional. This is because a dentist will be able to examine your teeth and gums to ensure they are healthy before your whitening process begins. If you contain issues such as tooth decay, gum disease, or other concerns, it’s important that these are treated first. At Green Apple Dental Clinic, we only treat our patients with products we use and trust ourselves. That’s why we love offering Pola Teeth Whitening, as it offers stunning results, every time. Not only is the brand a market leader in professional whitening treatments, but it’s also low in sensitivity when compared to other whitening procedures. Another fantastic benefit of Pola Teeth Whitening is that it allows patients to achieve the smile of their dreams – all in about 60 minutes! Whitening has never been easier or more convenient, and you can now obtain a beautifully bright smile at a time of your convenience, whether it be on a Saturday morning, during your lunch break, or even before work. Pola Teeth Whitening also produces durable results which can last up to two years, making it a worthwhile investment in your appearance. For those who wish to achieve a whiter smile in the comfort and convenience of their home, we have two popular whitening options available. The first option involves having our professional dentist custom-make a lab fabricated tray, which also comes with four tubes of highly effective whitening material. If you’re interested in this service, please contact Green Apple Dental Clinic today to schedule an appointment. This allows our dentist to take all of the necessary impressions to be able to create your custom trays. The second option is what we like to call “whitening on the go”. It also includes a set of pre-fabricated trays, however these are not individually customised, so are readily-made. You simply need to visit our practice during opening hours to pick up your trays – no appointment is necessary! Do you have a take-home version of teeth whitening? We offer not one, but two take-home versions of teeth whitening kits for added convenience! Both services use pre-fabricated trays with effective, long-lasting whitening material. Do you have a teeth whitening offer? Yes! We’re passionate about providing our patients with high-quality teeth whitening at affordable prices. Are You Ready for a Celebrity Smile? If you’ve always dreamed of having a Hollywood-worthy smile, don’t put it off any longer. Contact us at (03) 9077 3807 today to schedule your whitening appointment. Having a whiter smile has never been easier or more affordable!